Hello everyone, Happy Diwali to you all. 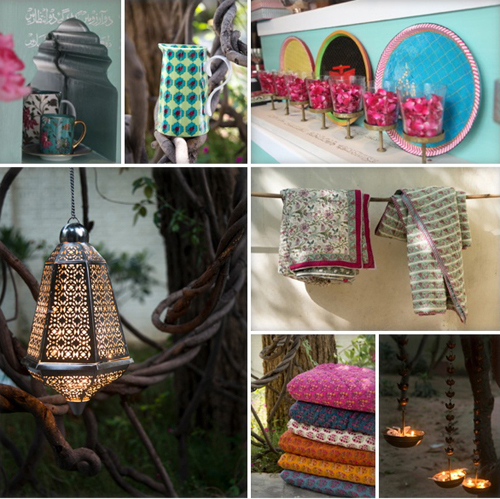 This Diwali, somehow something symbolic of Kashmir is all around us, be it in the fabric or its influence in home design. I heard from Aarti at Good Earth. 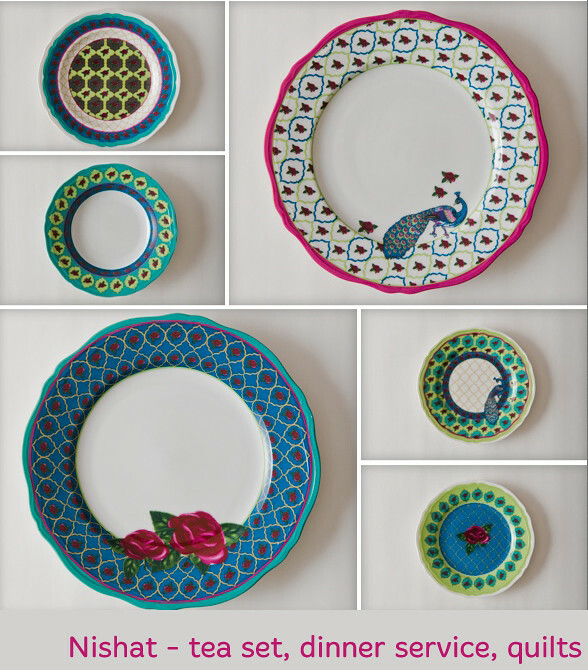 Good Earth has put together a 2013 spring design collection called Farah Baksh, inspired by the beauty, craft and cultural heritage of Kashmir. Farah Baksh is the name of the pleasure garden that Mughal emperor Jehangir created for his beautfiul empress Nur Jehan in the persian Chahar Bagh style. Be it shawls, papier mache, the Pashmina handwoven shawl with intricate butah/kairi patterns, or the ceremonial Marigolds, the world of design will forever be indebted to this paradise. Did you know that some of the finest Charbagh water gardens were created here – Shalimar, Nishat, Chashme Shahi, Pari Mahal, Achabal, Verinag – known as Mughal Gardens? 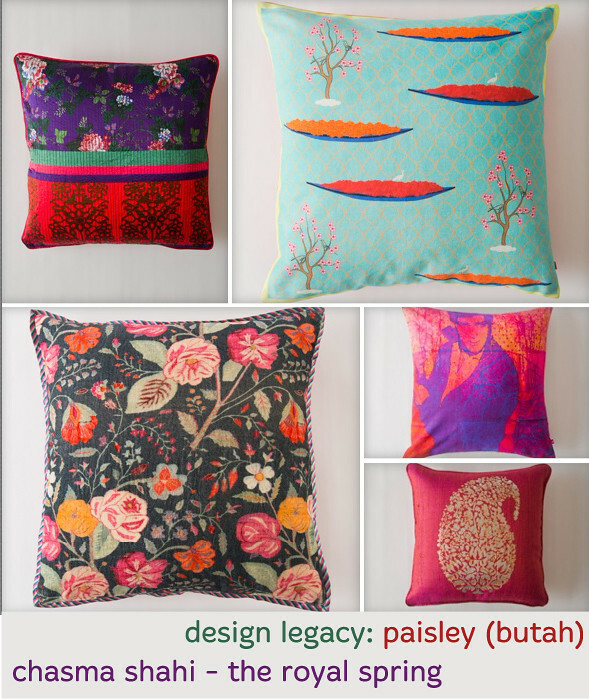 The paisley motif as is known today finds its origins and was perfected in Kashmir/Indian subcontinent. It was originally known as the butah. Good Earth plans to introduce a new product each month throughout the year.